Frame is a shower box where all the necessary elements for a wellness experience are framed as a work of art. The design could not have been created without a specific intention, that of bringing the users towards a deep mental and physical state of wellbeing. 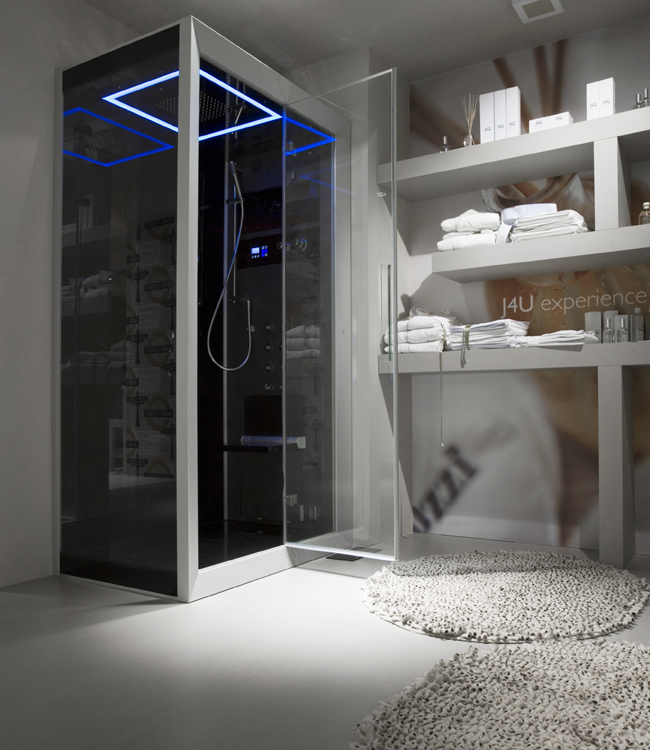 A general state of wellbeing, perceptible and tangible not only by use, but even before by a visual approach with the shower box itself. The aesthetic concept was born with this “emotional surplus” that emerges from a distance with the entrance formed by a frame that characterizes the entire design in all its dimensional aspects: metaphorically described as “a door to wellness” to delimit the normality and frenzy of life from the experience that will take place once passing through it. The frame is not randomly designed exclusively for an evocative end, but with the precise intent to cause a spatial continuity between the shower box and the floor for a better harmony and context. The frame becomes a threshold that allows entrance to a world where the only language is the one translated by the needs of the body into a range of emotions that are enhanced during the time spent in the shower, a time of relaxation, of hydro massage in an artistic continuum with the surrounding décor becoming an integral part of life.